Industry standards are essential to enabling open and interoperable solutions for utilities’ business IT projects such as AMI, DMS, OMS and other smart grid initiatives. Solutions built with interoperability in mind through the use of international standards reduce the risk and cost of implementation and ownership. To that end, Xtensible Solutions has invested substantial internal resources in developing and promoting industry standards as part of technology solutions for utilities. Xtensible team members lead and participate in development efforts for over 30 different smart grid standards. We leverage best practices and our expertise in the application of standards into Xtensible’s consulting and systems integration services, thus providing utilities with best-of-breed solutions. Within our standards practice, we offer utility and smart grid standards facilitation, coordination & development in addition to education, workshops and application consulting. 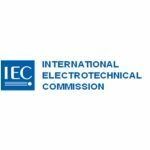 The International Electrotechnical Commission (IEC) is the world’s leading organization for the preparation and publication of international standards for electrotechnology. The IEC Technical Committee 57, Power System Management and Associated Information Exchange, comprises industry experts from around the globe who are responsible for the development and maintenance of leading interoperability standards such as the IEC 61968/70 Common Information Model (CIM) and the IEC 61850 Substation Automation standards. Xtensible’s participating members in the IEC committees chair key working groups prepare technical documents and develop standards in line with the groups’ goals of efficiency in world trade and economic growth. 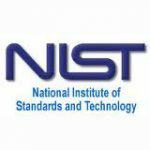 The NIST Smart Grid Interoperability Panel (SGIP) develops standards-based interoperability architectures and solutions involving multiple sets of standards by bringing together practicing professionals from the standards organizations identified on the NIST SG Roadmap. The SGIP provides a set of testing guidelines to help ensure that the implemented smart grid system delivers the intended business functions and benefits. Xtensible’s SGIP participants are uniquely positioned to help identify applicable standards, illuminate gaps in currently available standards and set priorities for new standardization activities of the evolving smart grid. 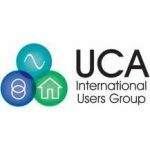 UCA International Users Group works closely with the primary standards-writing organizations to enable integration through the deployment of open standards in the energy and utility industry. The UCAIug member groups, including CIM Users Group (CIMug), Open Smart Grid (OpenSG), and 61850, draw their membership from Xtensible and other experienced utility industry companies. Members of UCAIug groups endorse open and public standards in the utility industry, develop product and system testing programs and promote the adoption of smart grid standards & technologies worldwide. 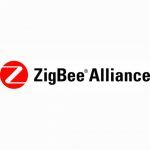 The ZigBee standards are low-cost, low-power wireless mesh standards connecting a wide range of consumer and business devices. These standards were custom-designed by industry experts to meet the specific market needs of businesses and consumers. Xtensible participates in the ZigBee Smart Energy 2.0 committee to further the goals of reliability, energy efficiency, and consumer energy management. 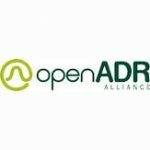 The OpenADR Alliance facilitates the adoption of OpenADR standards through the development of a process for compliance certification as well as education, training and promotion within the industry. OpenADR aims to provide a low-cost communications infrastructure to “improve the reliability, repeatability, robustness and cost-effectiveness of demand response (DR) in commercial buildings” (Source: OpenADR home page). 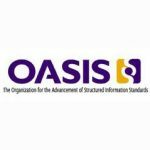 Members of the OpenADR Alliance, including Xtensible’s own Bruce Bartell, are currently coordinating with OASIS and UCAiug to further develop the OpenADR specification. IEEE is one of the world’s leading global standards development organizations. 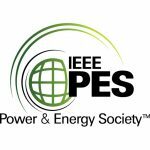 The IEEE Power & Energy Society (PES) is a worldwide, non-profit association of more than 28,000 individuals engaged in the electric power energy industry. 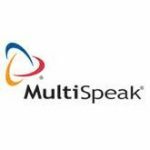 Their mission is to be the leading provider of scientific information on electric power and energy for the betterment of society and the preferred professional development source for their members. The scope of the Society embraces research, development, planning, design, construction, maintenance, installation, and operation of materials and power systems for the reliable usage of electric energy, including its measurement and control (Source: IEEE PES website). The Open Field Message Bus™ (OpenFMB™) is part of SGIP’s EnergyIoT™ initiative, bringing IoT and advanced interoperability to the power grid. It is a framework for distributed intelligent nodes interacting with each other through loosely coupled, peer -to-peer messaging for fielded devices and systems at the grid edge. It is simply the application of industrial internet technologies and techniques to enable the smart grid. 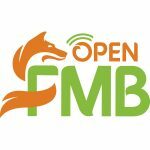 The OpenFMB™ framework provides a specification for power systems field devices to leverage a non-proprietary and standards-based reference architecture, which consists of internet protocol (IP) networking and Internet of Things (IoT) messaging protocols.